Whether you're all about sports, a music lover, or a theater fan, finding those amazing deals on great tickets just got a whole lot easier - and much more fun! T!ckets is the best way to search, compare and buy tickets. Transform your mobile device into the best tool around for discovering upcoming events, seeking out top deals, and making sure your experience is second- to-none at your next event. 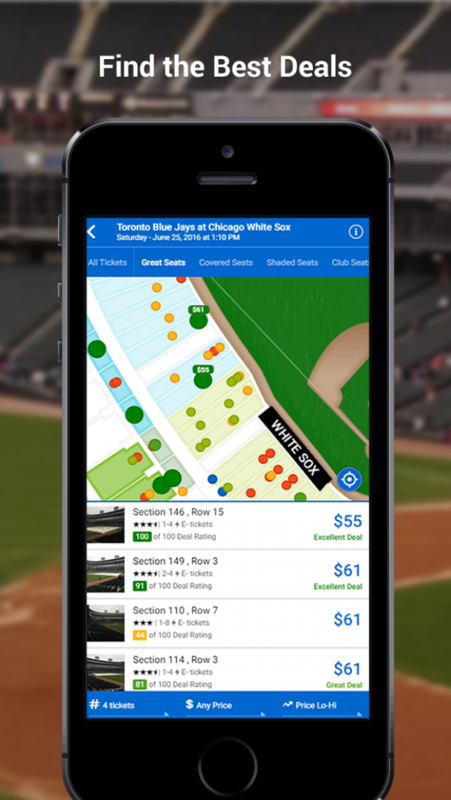 Powered by RateYourSeats.com, T!ckets brings together deal ratings from millions of ticket listings, thousands of in-seat photos & comments from fans just like you, and a one of a kind ticket search experience. Its a revolutionary approach aimed solely at helping you get the seats you deserve!